The two volumes of Kill Bill have told a vengeance story of epic proportions and together form yet another feather in the shining crown of Quentin Tarantino. An unabashed homage to the violent Manga comic strips, kung-fu flicks of Hong Kong and American Grindhouse movies, the Kill Bill franchise might be a tad too violent for the regular audience and tad too deviant from formulaic revenge tales, but for a movie buff like me, it worked just fine. And one reason for that might be the magic wand that Tarantino weaves on his viewers with such ease. An addictive storyline, gleefully over-the-top action sequences (they are so well orchestrated that they almost got alleviated to the stature of ballet dancing), great sound track, well-etched characters, and hyper-kinetic narrative, laced with a fine sense of deadpan humour, add to the flavour of this enthralling double-bill. Uma Thurman, as the woman-wronged seeking bloody revenge, was quite astounding, as were David Carradine as the verbose and suave Bill, and Michael Madsen as his mild-mannered brother. Interestingly, while the first volume was the more action-packed of the two, the second captivated me more through its philosophical overtures. The two movies are an exuberant reaffirmation of Tarantino’s love affair with cinema. Bappaditya Bandopadhyay’s Houseful is a difficult movie to appraise, for the simple reason that it IS a difficult movie. I haven’t seen any other movie by the director (his Kantatar earned him respect if not popularity). Nonetheless, it wasn’t difficult to realise that the movie, about a film director who neither manages to lure people to the theatre not impress the critics, and who is being incessantly coaxed by his loyal sidekick to play to the gallery for once by plagiarising a formulaic movie, has strong autobiographical touches. But that’s only the short of it. 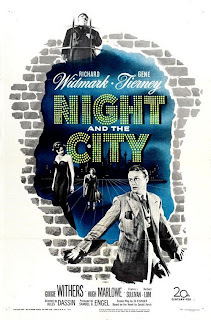 The movie, mostly about his making of yet another “unsuccessful movie”, has, with fair amount of élan, blurred the line between fact and fiction, between dreams and reality, and hence between cinema and life. The protagonist might be a miserable failure in his personal and professional lives, but that never deters him from living in his own world – a parallel existence of sorts. Prosenjit Chatterjee, in the challenging role as the dour-faced intellectual, might have given the most accomplished performance of his career, while Nitya Ganguly, as his jovial and ever-optimistic Man Friday, was also exceptional. The luscious Sreelekha Mitra, too, was impressive in her cameo as a successful heroine. While on one hand this experimental movie has a difficult subject matter and relies on complex narrative techniques, on the other it also has a fair amount of black irony and insider’s jokes that would make one smirk in appreciation. The cinematographer deserves special mention for the fine use of textures and colours to accentuate the specific moods of every situation. There is no denying Tony Scott his claim to fame – his ability to provide wholesome, fast-paced entertainment to the popcorn-churning public. He deserves that much, though rarely anything more profound than that. 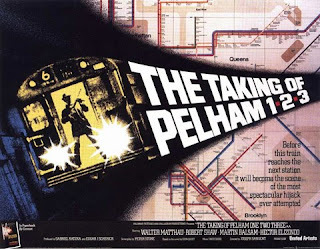 The Taking of Pelham 1 2 3, his latest offering, does boast of a compact narrative, stylized packaging and a reasonably engaging plot. However, on the flip side, and quite unlike his more famous and more appreciated works like True Romance, Top Gun, Spy Game and Enemy at the Gates, this one failed to scale such high-octane levels, attain breathtaking kinetic momentum or display audacious ingenuity. The movie starts off spectacularly, with a New York subway train hijacked, apparently for ransom, even though, seemingly, there isn’t any escape route for the criminals. However by the second half things start veering towards been-there-seen-that ground, and it climaxes with a finale that is flat and unimaginative. Thus, at the end of the day, the only real saving grace of the movie lied in the crackling chemistry shared by its two lead actors – Denzel Washington, as an everyday Joe, and John Travolta, as the psychotic mastermind. James Galdolfini, too, is impressive as a cynical Mayor nearing the end of his term. On the surface (i.e. 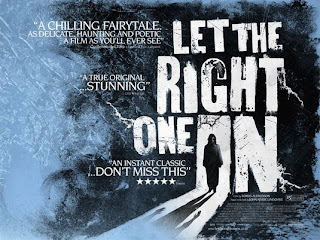 if one were to go by its plot skeleton) Let the Right One In might seem like a genre fare what with its tale of a vampire let loose; but scratch a little and what you have is a deeply disturbing and profoundly moving take on adolescence, friendship and growing up. The movie is about a frail, lonely and socially inept 12-year old boy – a regular target of a local bully who lives in a small Swedish town that is as quaint as it is brutally harsh, and who ends up befriending a mysterious girl who has recently moved in next door. He realizes later that the girl is in essence an ageless vampire, but that inescapable fact, instead of acting as a barrier to their burgeoning relationship, ends up adding deeper layers and philosophical undertones to it. The movie, in the tradition of great revisionist genre films, has completely deconstructed the myth, romance and horror associated with traditional vampire flicks. Though unabashed in its depiction of blood and violence, there isn’t any glamour associated with it for the simple reason that it never aspires to be spine-chilling (though it nonetheless is) in the conventional sense. Consequently what you have is a remarkable, deeply affecting, psychologically complex, visually stunning, hauntingly eerie, deeply melancholic and starkly beautiful movie that deserves a standing ovation as much for its detailing as for its near flawless execution. 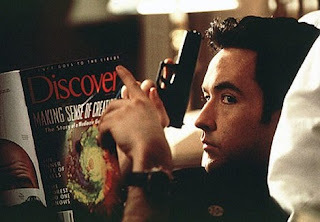 Grosse Point Blank is a nice little black comedy that manages to be engaging with its slick, compact storyline, as well as highly entertaining with its intelligent, darkly funny humour. The most laudable aspect of the script’s humour content is that it is laced with a fine dose of wry cynicism deftly masked by a seemingly playful exterior. The movie is about a gleefully nihilistic hitman (writer/actor John Cusack at his deadpan best) suffering from existential crisis, not because he kills people for money (it’s never ‘personal’ for him anyway), but because he is plain bored with his job. So, while on one hand he is coercing his nervous shrink (hilariously played by Alan Arkin) for psychiatric sessions, and on the other he is being coaxed by a delightfully neurotic fellow-hitman to join his ‘union’, he is secretly planning to quit while he is still alive when he reluctantly takes up an assignment at Grosse Point, which incidentally coincides with his high school reunion. Thus he must deal not only with his trigger-happy colleagues, but also with a curious bunch of former school mates, one of whom happens to be his high school sweetheart, and whose father happens to be, well, his ‘assignment’! The narrative progression, from its deceptively innocuous beginning to its uproarious climax, has been superbly paced, and has been very well aided by an excellent pop soundtrack.